What do we actually know about how people choose and, ultimately, hire an attorney? Where are their pain points? What frightens and frustrates them the most. These were some of the questions we asked ourselves when we set forth to make a journey map of the consumer’s experience. 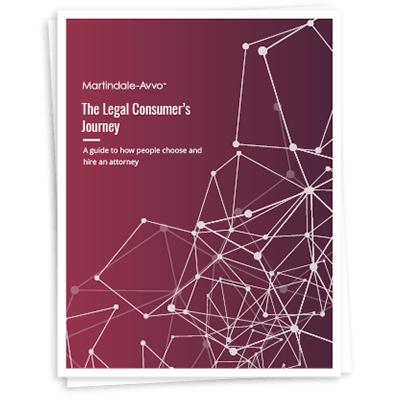 Download our 8-page guide now to learn how you, the attorney or legal marketer, can use this information to grow your practice and make legal easier for your own clients.